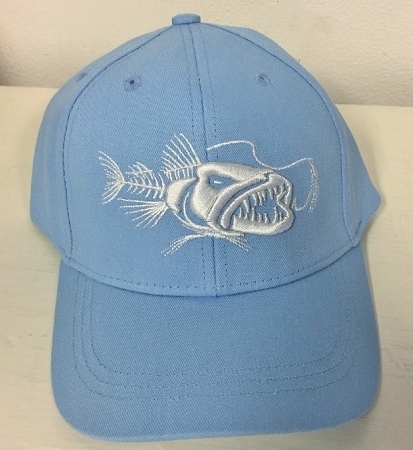 NEW YOUTH BLUE BAD FISH Fishing Cap, embroidered with GRGF's 'BAD FISH' on front - Comfortable, 100% cotton twill SIZED FOR YOUTH. 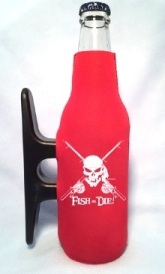 Get Reel…Get Fish! embroidery on rear velcro closure. 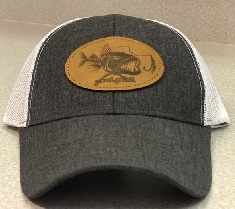 Bonefish style especially for young anglers.